Photo source: travelwayoflife. Some rights reserved. They are the Nepalese men and their families serving with Brunei and British armies stationed in Brunei. The Gurkha are also known as the Gurung. The name Gurkha denotes their status, unsurpassed by any other military elite, as the bravest of the brave. Originally, the Gurkha were descendants of the Gorkhali community but now they comprise various tribesmen living in the hills of Nepal. Believed to be descendants of the Mongols and Tibetans, they are known for their legendary skills at attacking the enemy with their fierce khukuri blades. They are deployed in the oil-rich Seria district and the capital city of Brunei. They speak a language classified under the East Gurung cluster. They also speak Nepali, which is Nepal's official language. In Nepal, the Gurkha lived in small villages in hilly terrain and were accustomed to traveling long distances on foot. These villages consist of loosely grouped homes surrounded by farmland. Most of them were farmers - planting vegetables, rice, maize, millet, and wheat. They also raised goats for meat and cows for milk. In Brunei, a foreign country, the close-knit community lives in barracks and quarters. Two-thirds of the short and stocky hills-men are deployed in the capital city. These older men, formerly active Gurkha soldiers of the British army, are employed as security guards to protect the houses of the royal family and also government and public property. The other one-third of younger men serve as active Gurkha soldiers of the British army stationed in the oil-rich Seria district at the request of the Sultan of Brunei. Most Nepalese are Hindus. They live in the world's only Hindu kingdom and they worship their king as an incarnation of the Hindu god, Vishnu ("protector and preserver of the worlds"). The majority of Gurkha families in Brunei are Hindus. Some of them claim to be Buddhists, while others are animists and a small remainder is Christian. Their system of beliefs is a complex blending of two major religions, Hinduism and Buddhism. Adherents of both religious faiths worship each other's gods and cherish mutual respect for one another, a tradition with a long history. In Brunei, they worship together in the same temple. They also hold on to their traditional animistic beliefs that non-human objects have spirits. They recognize local gods, goblins, and spirits. They also believe that ghosts and demons haunt the crossroads and rivers. They make offerings to these spirits in order to appease them. Presently, the oil-rich sultanate of Brunei provides for the Gurkha community's daily physical needs. But when their work contract ends, they have to readjust into their society back in Nepal. Pray that God will give wisdom to believers who are willing to help prepare the Gurkha for the transition back to living in Nepal. 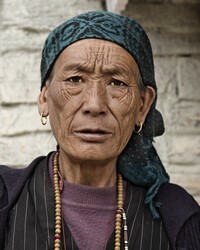 Pray for those who are believers to reaching out to the Gurkha in all their areas of need. View Nepalese, Gurkha in all countries.